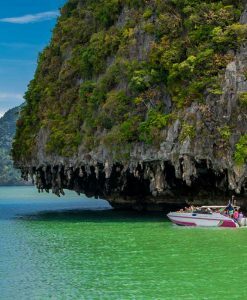 Khai islands tours, Khai Nui, Khai Nok and Khai Nai islands. 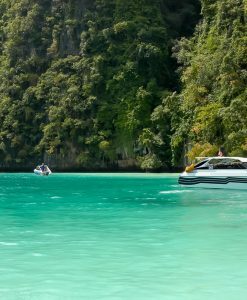 This beautiful zone of Andaman sea between Phuket and krabi and Koh Yao is well known for having beautiful islands, Khai islands tours may not be as popular as other destinations but they will lead you to uncover amazing small islands for snorkeling. 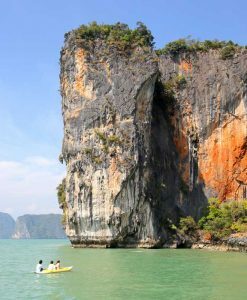 Examples of this are Khai Islands or the Rang Yai Island, they are small stops which can be found in the way to Phang Nga Bay or the Phi Phi islands. So these smaller islands are often visited as a stop when heading to one of the major destinations. 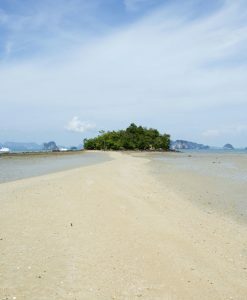 Khai Islands are located 10 km (15 minutes by speedboat) east of Phuket. 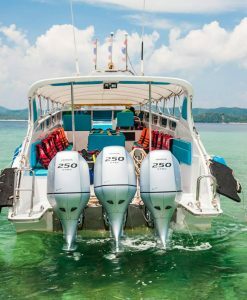 Khai islands tours drive you to the 3 small islands, surrounded by crystal waters and and abundant tropical marine life and fishes, many reef and rocks formations to observe by snorkeling. 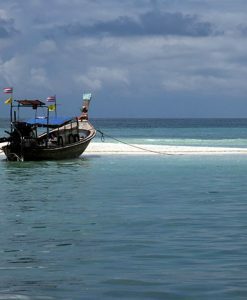 Khai islands tours and this islands are very suitable for kids and basically for all ages, shallow waters here are safe to swim and snorkel. 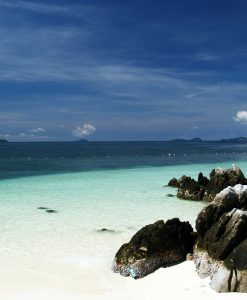 Khai Nok Island has a beautiful white beach with crystal clear turquoise water. Plenty of tropical fish are swimming around in the shallow water waiting to be fed, great for the kids. 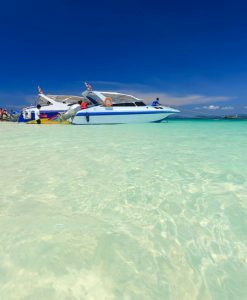 Khai Nai Island is the biggest island and has a beautiful white beach with crystal clear emerald green water good for swimming and snorkeling. Khai Nui Island is the smallest island and hosts colorful coral reefs providing excellent snorkeling.